The 2015 Koala High Relief proofs have arrived from Australia-and collectors have seized the chance to secure their fair share for good reason. 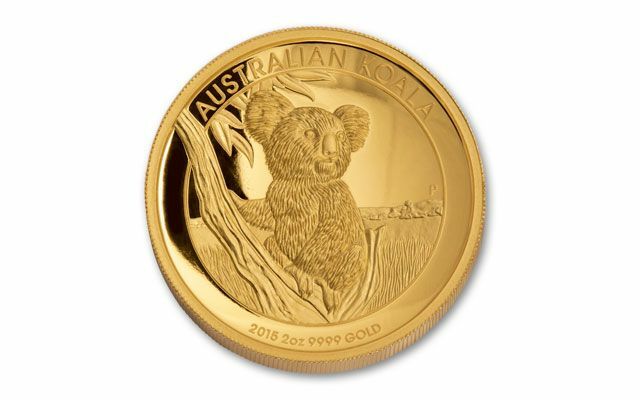 From already limited mintages, the Perth Mint set aside a small number of these premium Koala proofs. Then, they had them certified, graded and labeled with a very exclusive designation: One of First Struck. Now you can see why these are such a hot commodity, and collectors like you are getting nervous! 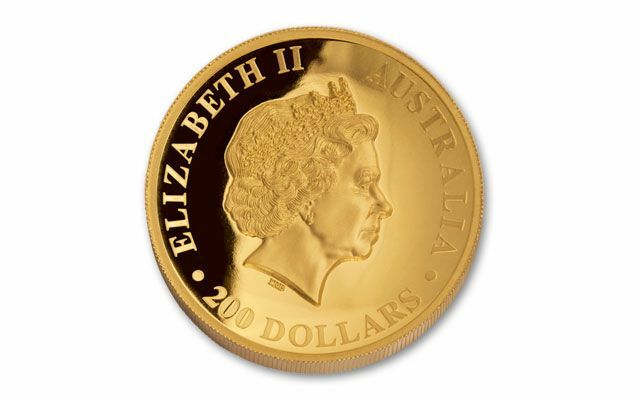 Each $200 Australia Legal Tender is struck in two ounces of 99.99% pure gold and graded Proof-70 Ultra Cameo (PF70UC) by Numismatic Guaranty Corporation (NGC). 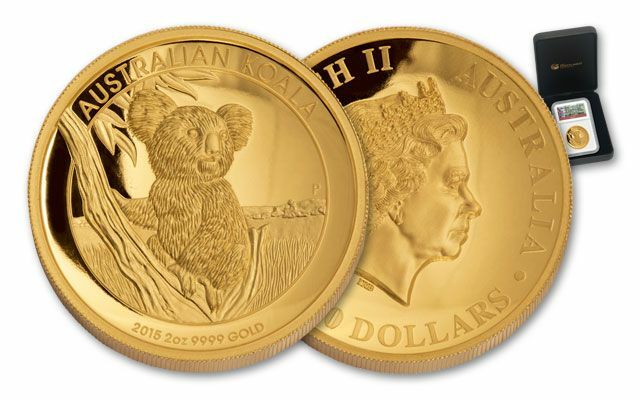 The reverse features a one-year-only design of a koala in a eucalyptus tree, and Her Majesty, Queen Elizabeth II is depicted on the reverse. Each also comes with a highly coveted label denoting its elite status as One of First 100 Struck. Yours will come in a Perth Mint presentation case and mint-numbered certificate of authenticity. 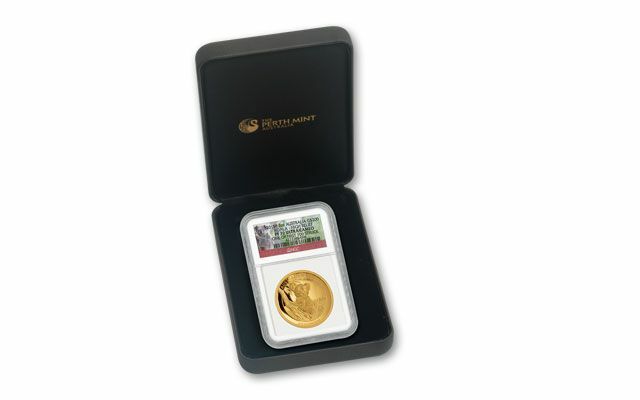 Perth Mint is renowned for their impeccable precision, quality and purity. 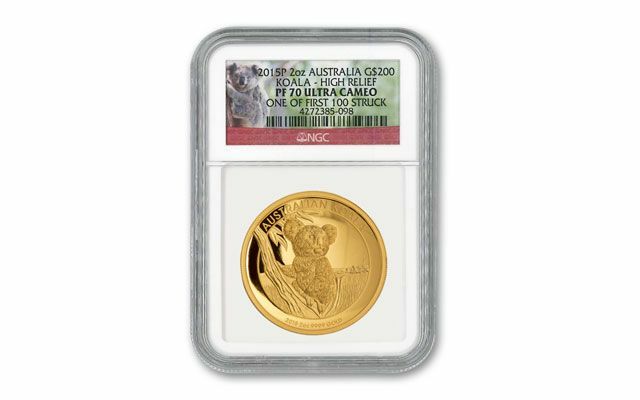 In addition, collectors consider these Koala proofs the pinnacle of coin minting art and demand is expected to be strong. As always, we've anticipated your interest and secured as many as we possibly could. This year, Perth Mint dropped the mintage to 150 from 200 in previous years. AND creating more buzz among collectors, two-ounce proofs are rarely struck by other world mints. As the official U.S. distributor for the Perth Mint, they've awarded us worldwide exclusivity-you simply can't find these One of First Struck labels anywhere else. Secure yours while you still can!